As residents of Newtown know, the winters here can be pretty harsh. Some winters are manageable, but others will give us multiple feet of snowfall in a single day. You never know when those heavy snowfall winters will come, and that is why it is important to know who to call when it does. When the snow comes, you can call us to remove snow and ice from your property in a moment’s notice. We have the staff and equipment needed to take care of all conditions. Even after the worst storms, you can count on us to clear your parking lot, driveway, sidewalk and more. You should use us because we are experienced and reliable. We have been working in Newtown helping residents and business owners alike clear their properties of snow and ice so that they can continue living in operating normally. We recommend using us if you don’t have the energy or time to spend your day shoveling out your driveway and sidewalk. We know that your time is valuable, which is why we are here to do this work for you. The people of Newtown are busy people and they don’t have all day to spend clearing out snow. If you do not have the specialized equipment to remove snow quickly, it will take even longer. You can hire us to do a perfect job every time so that you can stay indoors and relax. 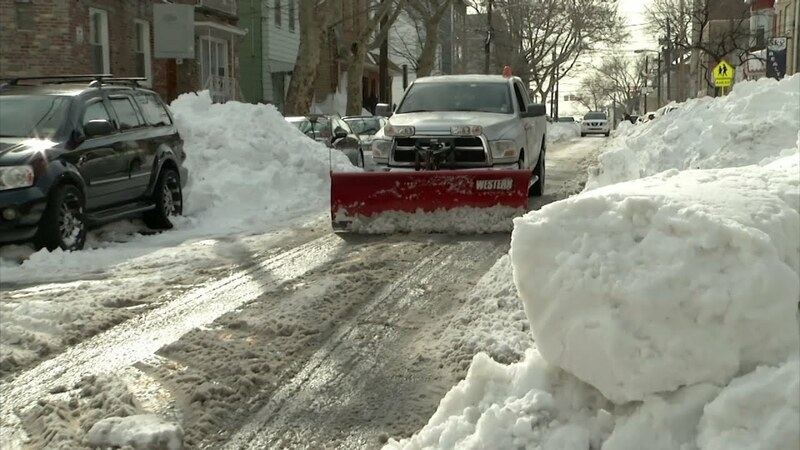 We employ a highly trained staff that has been removing snow and ice throughout Newtown with their decades of experience. They know exactly how to approach each situation to clear the snow and ice away quickly and efficiently. We train all employees carefully to ensure that they are prepared and able to tackle even the most difficult conditions. This is critical because as we all know, the snow can really pile up at times here in Newtown. We service all residential properties. If you are a homeowner, we are ready to service you and your snow removal needs. We provide snow removal services for driveways, parking spaces, sidewalks, roofs and more. No matter what services you are in need of, we will be able to provide them for you. We provide snow removal services for commercial properties throughout Newtown. These services include parking lot plowing to allow your customers to access your business by car, and shoveling the surrounding sidewalk so that pedestrians can walk up to your business. We will also the ice and salt your sidewalk and parking lot to prevent ice from forming later in the day. Lastly, we can remove the snow from your roof to prevent it from falling onto pedestrians passing by during the day.